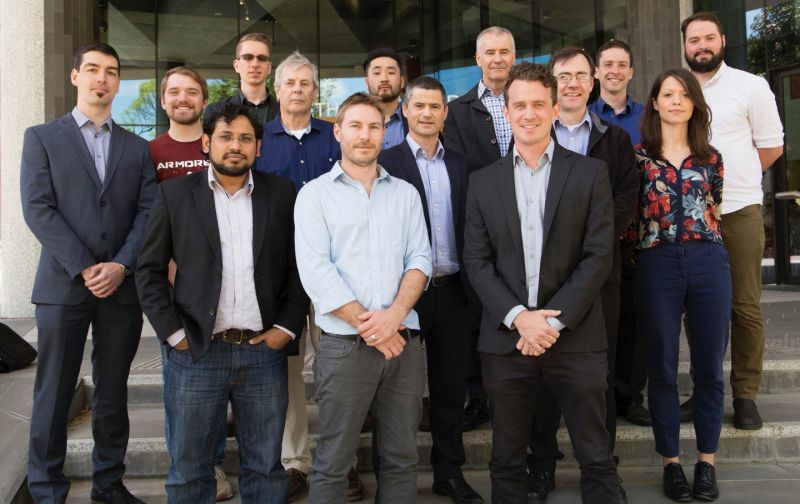 The Vascular Bionics Laboratory is co-headed by Associate Professor Nicholas Opie and Associate Professor Thomas Oxley. We are developing the world's first minimally invasive Brain-Machine Interface, the StentrodeTM, a medical device that can record and stimulate neural tissue from within a blood vessel. The StentrodeTM has the potential to restore independence to people suffering paralysis by enabling direct brain control of assistive technologies and other peripheral devices. The StentrodeTM is implanted within the blood vessel of the brain, and records nearby neural activity by utilising the vessel as a conduit. This novel technique was specifically developed to mitigate the risks associated with open-brain surgery. We have demonstrated the proof-of-concept of our technology, and have shown the device is able to record high-fidelity, movement-related neural information for longer than six months in Nature Biotechnology. Furthermore, we have recently demonstrated the proof-of-concept that the StentrodeTM could enable safe and efficacious stimulation of focal regions in the brain in Nature Biomedical Engineering. We are continuing to enhance the StentrodeTM to benefit people with other neurological conditions. This includes development of signal processing strategies to effectively decode neural information, detect and modulate epileptic seizures, enhancing the design of the StentrodeTM to stimulate deep brain regions for potential treatment of Parkinson’s, depression, post-traumatic stress disorder, obesity, anxiety and more. STENTRODE WITH THOUGHT CONTROLLED DIGITAL SWITCH: An early feasibility study (EFS) of the safety of the StentrodeTM device in participants with loss of motor function due to paralysis from spinal cord injury, motor neuron disease, stroke, muscular dystrophy or loss of limbs. The EFS clinical trial of the StentrodeTM is now underway at the Royal Melbourne Hospital and Calvary Healthcare Bethlehem, Melbourne (ClinicalTrials.gov ID: NCT03834857). The primary purpose of this trial is to evaluate the safety of the StentrodeTM device in humans. The secondary purpose of this trial is to evaluate the efficacy of the StentrodeTM neural interface system in controlling assistive technology. The StentrodeTM is a new medical device capable of recording brain signals. It is a small metallic mesh tube (stent), with electrode contacts/sensors (small metal disks) within the stent structure. A surgical technique has been developed, which allows implantation of the StentrodeTM without open brain surgery, where the device can be placed inside a blood vessel of the brain located in an area that controls movement (motor cortex). This research will be the first of its kind to be performed in humans and may help us find safer, more effective ways to introduce/implant electrical sensors in patients' (brains). The total duration of the study is approximately 3 years. There are two periods to the study. First is the screening period (5 visits) to determine the eligibility of participation according to the inclusion/exclusion criteria. If the participants have been found to be eligible for participation, they will be invited to the second period of the study which includes 10 clinical follow up visits over the 3 year period at The Royal Melbourne Hospital. Visits will be weekly for the first month, then monthly for the first 12 months, then yearly for year 2 and 3. There will also be technical visits, 3 times a week for the first 12 months. At these visits you will learn how to use the device. The technical visits can be conducted in the participants’ homes, with the participants consent. Trial Sponsor: Synchron Australia PTY LTD.
Study Director: Associate Professor Thomas Oxley. Principle Investigator: Professor Peter Mitchell. For more information, please contact the clinical trials coordinator, Christin Bird. Focal stimulation of the sheep motor cortex with a chronically implanted minimally invasive electrode array mounted on an endovascular stent. Opie NL, John SE, Rind GS, Ronayne SM, Wong YT, Gerboni G, Yoo PE, Lovell TJH, Scordas TCM, Wilson SL, Dornom A, Vale T, O’Brien TJ, Grayden DB, May CN, Oxley TJ. Nature Biomedical Engineering, 2018. Closed loop neurostimulation: Listen to the body. 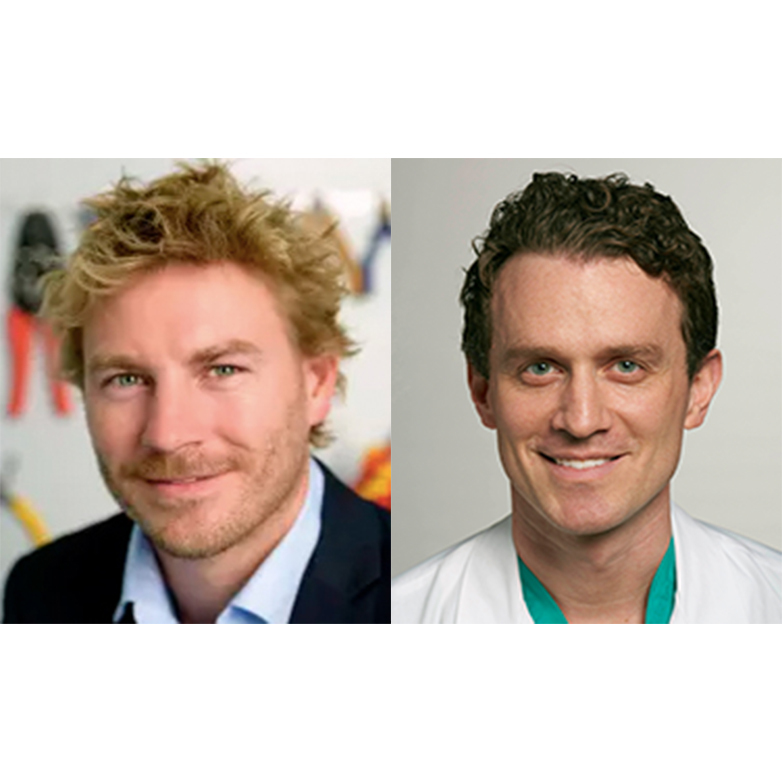 Oxley TJ, Opie NL, World Neurosurgery, 2018. Feasibility of identifying the ideal locations for motor intention decoding using unimodal and multimodal classification at 7T-fMRI. Yoo PE, Oxley TJ, John SE, Opie NL, Ordidge RJ, O’Brien TJ, Hagan MA, Wong YT, Moffat BA. Scientific Reports, 8:15556, 2018. Optimized partial-coverage functional analysis pipeline (OPFAF): A semi-automated pipeline for skull- stripping and co-registration of partial-coverage, ultra-high-field functional images. Yoo PE, Cleary JO, Kolbe SC, Ordidge RJ, O’Brien TJ, Opie NL, John SE, Oxley TJ, Moffat BA. Magnetic Resonance Materials in Physics, Biology and Medicine. 31(5), pp.621–632, 2018. Near-Field Wireless Power Transfer to Stent-Based Biomedical Implant. Aldaoud AJ, Ganesan RK, Rind GS, John SE, Ronayne SM, Opie NL, Garrett DJ, Prawer S. IEEE Journal of Electromagnetics, RF and Microwaves in Medicine and Biology 2(3), pp. 193-200, 2018. Visual evoked potentials determine chronic signal quality in a stent-electrode endovascular neural interface. Gerboni G, John SE, Rind GS, Ronayne SM, May CN, Oxley TJ, Grayden DB, Wong YT and Opie NL. Biomedical Physics & Engineering Express. 2018. Effect of Implant Duration, Anatomical Location and Electrode Orientation on Bandwidth Recorded with a Chronically Implanted Endovascular Stent-Electrode Array. Opie NL, John SE, Rind GS, Ronayne SM, May CN, Grayden DB, Oxley TJ. Engineering in Medicine and Biology Society (EMBC), 2018. Cortical Brain Stimulation with Endovascular Electrodes. Gerboni G, John SE, Ronayne SM, Rind GS, May CN, Oxley TJ, Grayden DB, Wong YT, Opie NL. Engineering in Medicine and Biology Society (EMBC), 2018. In vivo impedance characterization of cortical recording electrodes shows dependence on electrode location and size. John SE, Apollo NV, Opie NL, Rind GS, Ronayne SM, May CN, Oxley TJ, Grayden DB. IEEE Transactions on Biomedical Engineering, 2018. Signal quality of simultaneously recorded endovascular, subdural and epidural signals are comparable. John SE, Opie NL, Wong YT, Rind GS, Ronayne SM, Gerboni G, Bauquier SH, O’Brien TJ, May CN, Grayden DB, Oxley TJ. Scientific Reports. 8:8427, 2018. Spatially dynamic recurrent information flow across long‐range dorsal motor network encodes selective motor goals. Yoo PE, Hagan MA, John SE, Opie NL, Ordidge RJ, O’Brien TJ, Oxley TJ, Moffat BA and Wong YT. Human brain mapping, 39(6), pp.2635-2650, 2018. Advanced imaging of intracranial atherosclerosis: lessons from interventional cardiology. Pavlin-Premrl D, Sharma R, Campbell BC, Mocco J, Opie NL, Oxley TJ. Frontiers in Neurology 8:387. 2017. 7T-fMRI: Faster temporal resolution yields optimal BOLD sensitivity for functional network imaging specifically at high spatial resolution. Yoo PE, John SE, Farquharson S, Cleary JO, Wong YT, Ng A, Mulcahy CB, Grayden DB, Ordidge RJ, Opie NL, O’Brien TJ, Oxley TJ, Moffat BA. NeuroImage, 164(1), pp 214-229, 2017. The Ovine Motor Cortex: A Review of Functional Mapping and Cytoarchitecture. John SE, Lovell TJH, Opie NL, Wilson S, Scordas T, Wong Y, Rind G, Ronayne S, Baquier S, May C, Grayden DB, O’Brien TJ, Oxley TJ. Neuroscience & Biobehavioral Reviews, 80 pp 306-315, 2017. An ovine model of cerebral catheter venography for implantation of an endovascular neural interface. Oxley TJ, Opie NL, Rind GS, Liyanage K, John SE, Ronayne S, McDonald AJ, Dornom A, Lovell TJH, Mitchell PJ and Bennett I. Journal of Neurosurgery, pp1-8, 2017. Chronic impedance spectroscopy of an endovascular stent-electrode array. Opie NL, John SE, Rind GS, Ronayne SM, Grayden DB, Burkitt AN, May CN, O’Brien, TJ and Oxley TJ. Journal of Neural Engineering, 13(4), pp 046020, 2016. Suitability of nitinol electrodes in neural prostheses such as endovascular neural interfaces. Wong YT, Opie NL, John SE, Gerboni G, Rind GS, Ronayne SM, Fox KE, Oxley TJ, Grayden GB. Engineering in Medicine and Biology Society (EMBC), 2016. Micro-CT and Histological Evaluation of a Neural Interface Implanted within a Blood Vessel. Opie NL, van der Nagel NR, John SE, Vessey K, Rind GS, Ronayne SM, Fletcher EL, May CN, OBrien T, Oxley T. IEEE transactions on bio-medical engineering, 2016. Development and Implementation of a Corriedale Ovine Brain Atlas for Use in Atlas-Based Segmentation. Liyanage KA, Steward C, Moffat BA, Opie NL, Rind GS, John SE, Ronayne S, May CN, O’Brien TJ, Milne ME, Oxley TJ. PloS one. 11(6):e0155974, 2016. The evolution of endovascular electroencephalography: historical perspective and future applications. Sefcik RK, Opie NL, John SE, Kellner CP, Mocco J, and Oxley TJ. Neurosurgical focus 40:5. 2016. Minimally invasive endovascular stent-electrode array for high-fidelity, chronic recordings of cortical neural activity. Oxley TJ, Opie NL, John SE, Rind G, Ronayne SM, Wheeler TL, Judy JW, McDonald AJ, Dornom A, Lovell TJH, Steward C, Garrett DJ, Moffat BA, Lui EH, Yassi N, Campbell BCV, Wong YT, Fox KE, Nurse ES, Bennett IE, Bauquier SH, Liyanage KA, van der Nagel NR, Perucca P, Ahnood A, Gill KP, Yan B, Churilov L, French CR, Desmond PM, Horne MK, Kiers L, Prawer S, Davis SM, Burkitt AN, Mitchell PJ, Grayden DB, May CN, O’Brien TJ. Nature Biotechnology, 34(1), pp.320–327, 2016. “A Minimally Invasive Endovascular Stent-Electrode Array for Chronic Recordings of Neural Activity”. Oxley TJ, Opie NL, John SE, Ronayne SM, Burkitt AN, Grayden DB, May CN, O’Brien TJ. Brain Computer Interface Research; Springer, Cham. 2017.